Daglig leder av Psykhjelpen for de minste, for barna og for ungdom/Tvibit, som er et psykologisk rådgivningstilbud i samarbeid med Forebyggende helsetjenester i Tromsø kommune. Underviser og veileder i alle emner innen klinisk psykologi og praksis. Hovedtyngden av undervisningen foregår på fjerde og femte året ved profesjonsstudiet i psykologi. Veileder PhD stipendiater, hovedoppgaver og studenter i klinisk praksis på Psykhjelpen. Kliniske spesialfelt er depresjon, spedbarnspsykologi, kognitiv terapi, nevropsykologi og utredning. Kvamme, Maria Fredriksen; Wang, Catharina Elisabeth Arfwedson; Waage, Trond; Risør, Mette Bech. Careful expressions of social aspects: How local professionals in high school settings, municipal services, and general practice communicate care to youth presenting persistent bodily complaints. Health and Social Care in the community 2019. ISSN 0966-0410.s doi: 10.1111/hsc.12762. Nordahl, Dag; Høifødt, Ragnhild Sørensen; Bohne, Agnes; Landsem, Inger Pauline; Wang, Catharina Elisabeth Arfwedson; Thimm, Jens. Early maladaptive schemas as predictors of maternal bonding to the unborn child. BMC Psychology 2019. ISSN 2050-7283. Dybvik, Jo Benjamin; Sundsfjord, Silja; Wang, Catharina Elisabeth Arfwedson; Nivison, Mary. Significance of nature in a clinical setting and its perceived therapeutic value from patients’ perspective. (fulltekst) (sammendrag) European Journal of Psychotherapy 2018; Volum 20 (4). ISSN 1364-2537.s 429 - 449.s doi: 10.1080/13642537.2018.1529690. Østbye, Silje Vagli; Wang, Catharina Elisabeth Arfwedson; Granheim, Ida Pauline Høilo; Kristensen, Kjersti Elisabeth; Risør, Mette Bech. Epistemological and methodological paradoxes: secondary care specialists and their challenges working with adolescents with medically unexplained symptoms. International Journal of Mental Health Systems 2018; Volum 12:52. ISSN 1752-4458.s 1 - 14.s doi: 10.1186/s13033-018-0232-0. Østbye, Silje Vagli; Kvamme, Maria Fredriksen; Wang, Catharina Elisabeth Arfwedson; Haavind, Hanne; Waage, Trond; Risør, Mette Bech. ‘Not a film about my slackness’: Making sense of medically unexplained illness in youth using collaborative visual methods. Health 2018. ISSN 1363-4593.s doi: 10.1177/1363459318785696. Høifødt, Ragnhild Sørensen; Nordahl, Dag; Pfuhl, Gerit; Landsem, Inger Pauline; Thimm, Jens; Ilstad, Linn Kathrin K.; Wang, Catharina Elisabeth Arfwedson. Protocol for the Northern babies longitudinal study: predicting postpartum depression and improving parent–infant interaction with The Newborn Behavioral Observation. (fulltekst) BMJ Open 2017; Volum 7 (9). ISSN 2044-6055.s doi: 10.1136/bmjopen-2017-016005. Maack, Jana Kristin; Bohne, Agnes; Nordahl, Dag; Livsdatter, Lina; Lindahl, Åsne; Øvervoll, Morten; Wang, Catharina Elisabeth Arfwedson; Pfuhl, Gerit. The Tromso Infant Faces Database (TIF): Development, validation and application to assess parenting experience on clarity and intensity ratings. Frontiers in Psychology 2017; Volum 8. ISSN 1664-1078.s 1 - 13.s doi: 10.3389/fpsyg.2017.00409. Lorem, Geir F; Schirmer, Henrik; Wang, Catharina Elisabeth Arfwedson; Emaus, Nina. Ageing and mental health: Changes in self-reported health due to physical illness and mental health status with consecutive cross-sectional analyses. (fulltekst) (omtale) BMJ Open 2017; Volum 7:e013629 (1). ISSN 2044-6055.s 1 - 9.s doi: 10.1136/bmjopen-2016-013629. Nordby, Kent; Wang, Catharina Elisabeth Arfwedson; Dahl, Tove Irene; Svartdal, Frode. Intervention to reduce procrastination in first-year students: Preliminary results from a Norwegian study. Scandinavian Psychologist 2016 (3). ISSN 1894-5570.s 15 - .s doi: 10.15714/scandpsychol.3.e10. Johansen, Siv Grethe; Wang, Catharina Elisabeth Arfwedson; Binder, Per-Einar. Facilitating change in a client's dysfunctional behavioural pattern with horse-aided psychotherapy. A case study. (data) Counselling and Psychotherapy Research 2016; Volum 16 (3). ISSN 1473-3145.s 222 - 231.s doi: 10.1002/capr.12078. Kristensen, Kristin Valen; Dalseth, Anette Karlsen; Moldestad, Line; Wallan, Solveig; Lorem, Geir F; Jentoft, Greta; Wang, Catharina Elisabeth Arfwedson. Blues Mothers : et gruppebasert mestringstilbud ved fødselsdepresjon. (fulltekst) Tidsskrift for Norsk Psykologforening 2015; Volum 52 (5). ISSN 0332-6470.s 405 - 412. Lorem, Geir F; Frafjord, Jartrud Sofie; Steffensen, Marie; Wang, Catharina E.. Medication and participation: A qualitative study of patient experiences with antipsychotic drugs. (fulltekst) Nursing Ethics 2014; Volum 21 (3). ISSN 0969-7330.s 347 - 358.s doi: 10.1177/0969733013498528. Johansen, Siv Grethe; Wang, Catharina Elisabeth Arfwedson; Binder, Per-Einar; Malt, Ulrik Fredrik. Equine-facilitated body and emotion-oriented psychotherapy designed for adolescents and adults not responding to mainstream treatment: A structured program. Journal of psychotherapy integration 2014; Volum 24 (4). ISSN 1053-0479.s 323 - 335.s doi: 10.1037/a0038139. Lorem, Geir F; Steffensen, Marie; Frafjord, Jartrud Sofie; Wang, Catharina E.. Omsorg under tvang. En narrativ studie av pasienters fortellinger om psykisk helsevern. Tidsskrift for psykisk helsearbeid 2014; Volum 11 (2). ISSN 1503-6707.s 114 - 124. Kjærgaard, Marie; Wang, Catharina E.; Waterloo, Knut; Jorde, Rolf. A study of the psychometric properties of the Beck Depression Inventory-II, the Montgomery and Åsberg Depression Rating Scale, and the Hospital Anxiety and Depression Scale in a sample from a healthy population. Scandinavian Journal of Psychology 2014; Volum 55 (1). ISSN 0036-5564.s 83 - 89.s doi: 10.1111/sjop.12090. Holte, Arne; Barry, Margaret M.; Bekkhus, Mona; Borge, Anne Inger Helmen; Bowes, Lucy; Casas, Ferran; Friborg, Oddgeir; Grinde, Bjørn; Headey, Bruce; Jozefiak, Thomas; Lekhal, Rabit; Marks, Nic; Muffels, Ruud; Nes, Ragnhild Bang; Røysamb, Espen; Thimm, Jens; Torgersen, Svenn; Trommsdorff, Gisela; Veenhoven, Ruut; Vittersø, Joar; Waaktaar, Trine; Wagner, Gert G.; Wang, Catharina E.; Wold, Bente; Zachrisson, Henrik Daae. Psychology of Child Well-Being. (data) Springer 2014 ISBN 978-90-481-9062-1.s 555 - 631.s doi: 10.1007/978-90-481-9063-8_13. Thimm, Jens; Holte, Arne; Brennen, Tim; Wang, Catharina E.. Hope and expectancies for future events in depression. (fulltekst) Frontiers in Psychology 2013; Volum 4. ISSN 1664-1078.s doi: 10.3389/fpsyg.2013.00470. Skre, Ingunn; Friborg, Oddgeir; Breivik, Camilla; Johnsen, Lars Inge; Arnesen, Yngvild; Wang, Catharina E.. A school intervention for mental health literacy in adolescents: effects of a non-randomized cluster controlled trial. (fulltekst) BMC Public Health 2013; Volum 13:873. ISSN 1471-2458.s doi: 10.1186/1471-2458-13-873. Hartmann, Ellen Johanne; Halvorsen, Marianne; Wang, Catharina E.. Rorschach Variables and Dysfunctional Attitudes as Measures of Depressive Vulnerability: A 9-Year Follow-Up Study of Individuals With Different Histories of Major Depressive Episodes. Journal of Personality Assessment 2013; Volum 95 (1). ISSN 0022-3891.s 26 - 37.s doi: 10.1080/00223891.2012.713881. Kjærgaard, Marie; Waterloo, Knut; Wang, Catharina E.; Almås, Bjørg; Figenschau, Yngve Anton; Hutchinson, Moira Strand; Svartberg, Johan; Jorde, Rolf. Effect of vitamin D supplement on depression scores in people with low levels of serum 25-hydroxyvitamin D: nested case-control study and randomised clinical trial. British Journal of Psychiatry 2012; Volum 201 (5). ISSN 0007-1250.s 360 - 368.s doi: 10.1192/bjp.bp.111.104349. Wang, Catharina E.; Hope, Siren; Wright, Reni Jasinski; Waage, Trond. Ungdomsblikk: Selvrefleksivt filmkurs som terapeutisk metode. Tidsskrift for Norsk Psykologforening 2012; Volum 49 (9). ISSN 0332-6470.s 861 - 869. Nordahl, Hans Morten; Martinsen, Egil Wilhelm; Wang, Catharina E.. Psykologiske behandlingsformer for depresjon med vekt på individualiserte tilnærminger. (fulltekst) Tidsskrift for Norsk Psykologforening 2012; Volum 49 (1). ISSN 0332-6470.s 40 - 48. Wang, Catharina E.. Et evolusjonsperspektiv på depresjon : samfunnspolitiske og psykologfaglige utfordringer. (fulltekst) Tidsskrift for Norsk Psykologforening 2012; Volum 49 (1). ISSN 0332-6470.s 5 - 13. Dørmænen, Annbjørg; Heimdal, Marte Rye; Wang, Catharina E.; Grimsgaard, Sameline. Depression in postmenopause: a study on a subsample of the Acupuncture on Hot Flushes Among Menopausal Women (ACUFLASH) study. Menopause 2011; Volum 18 (5). ISSN 1072-3714.s 525 - 530.s doi: 10.1097/gme.0b013e3181f9f89f. Heimdal, Marte Rye; Dørmænen, Annbjørg; Wang, Catharina E.; Grimsgaard, Sameline. A Comparison of the WHQ and the BDI-II in a Sample of Postmenopausal Women. (fulltekst) Patient Reported Outcomes Newsletter 2010 (43).s 13 - 15. Andersson, Helle Wessel; Bjørngaard, Johan Håkon; Kaspersen, Silje; Wang, Catharina E.; Skre, Ingunn; Dahl, Thomas. The effects of individual factors and school environment on mental health and prejudiced attitudes among Norwegian adolescents. (fulltekst) Social Psychiatry and Psychiatric Epidemiology 2010; Volum 45 (5). ISSN 0933-7954.s 569 - 577.s doi: 10.1007/s00127-009-0099-0. Lintvedt, Ove K; Sørensen, Kristian; Østvik, Andreas Raae; Verplanken, Bas; Wang, Catharina E.. The Need for Web-Based Cognitive Behavior Therapy Among University Students. Routledge 2009 ISBN 9780415548885.s 239 - . Bjørkum, Torunn; Wang, Catharina E.; Waterloo, Knut. Pasienterfaringer med ulike tiltak ved kronisk utmattelsessyndrom. Tidsskrift for Den norske legeforening 2009; Volum 12 (129). ISSN 0029-2001.s 1214 - 1216. Lintvedt, Ove K; Sørensen, Kristian; Verplanken, Bas; Wang, Catharina E.. The Need for Web-Based Cognitive Behavior Therapy Among University Students. Journal of technology in human services 2008; Volum 26 (2). ISSN 1522-8835.s 239 - 258.s doi: 10.1080/15228830802096705. Skre, Ingunn; Arnesen, Yngvild; Breivik, Camilla; Johnsen, Lars Inge; Verplanken, Bas; Wang, Catharina E.. Mestring hos ungdom: Validering av en norsk oversettelse avAdolescent Coping Orientation for Problem Experiences. (fulltekst) Tidsskrift for Norsk Psykologforening 2007; Volum 44 (3). ISSN 0332-6470.s 236 - 247. Wang, Catharina E.; Berge, Kjersti; Arnesen, Yngvild; Breivik, Camilla; Johnsen, Lars Inge; Bruun-Hansen, Trond; Jentoft, Greta; Skre, Ingunn. Psykhjelpen på Tvibit: En psykologisk rådgivningstjeneste på ungdommens kulturhus midt i Tromsø sentrum. (fulltekst) Tidsskrift for Norsk Psykologforening 2007; Volum 44 (3). ISSN 0332-6470.s 247 - 253. Verplanken, Bas; Friborg, Oddgeir; Wang, Catharina E.; Trafimow, David; Woolf, Kristin. Mental habits: Metacognitive reflection on negative self-thinking. Journal of Personality and Social Psychology 2007; Volum 92 (3). ISSN 0022-3514.s 526 - 541.s doi: 10.1037/0022-3514.92.3.526. Træen, Bente; Wang, Catharina E.. Perceived gender attribution, self-esteem, and general self-efficacy female horseback riders. Journal of Equine Veterinary Science 2006; Volum 26 (10). ISSN 0737-0806.s 439 - 444. Wang, Catharina E.; Brennen, Tim; Holte, Arne. Decreased approach motivation in depression. Scandinavian Journal of Psychology 2006; Volum 47 (6). ISSN 0036-5564.s 505 - 511. Wang, Catharina; Brennen, Tim; Holte, Arne. Automatic and effortful processing of self-statements in depression. Cognitive Behaviour Therapy 2006; Volum 35 (2). ISSN 1650-6073.s 117 - 124.s doi: 10.1080/16506070500466865. Wang, Catharina E.; Halvorsen, Marianne; Sundet, K; Steffensen, Anne Lise; Holte, Arne; Waterloo, Knut. Verbal memory performance of mildly to moderately depressed outpatient younger adults. Journal of Affective Disorders 2006; Volum 92. ISSN 0165-0327.s 283 - 286. Wang, Catharina E.; Brennen, Tim; Holte, Arne. Mechanisms of recurrent depression: A cognitive battle model and some preliminary results. Clinical Psychology and Psychotherapy 2005; Volum 12. ISSN 1063-3995.s 427 - 442. Hoffart, Asle; Sexton, Harold; Hedley, Liv Margaret; Wang, Catharina E.; Holthe, Harald; Haugum, Jon A; Nordahl, Hans Morten; Hovland, Ole Johan; Holte, Arne. The structure of maladaptive schemas: A confirmatory factor analysis and a psychometric evaluation of factor-derived scales. Cognitive Therapy and Research 2005; Volum 29 (6). ISSN 0147-5916.s 627 - 644.s doi: 10.1007/s10608-005-9630-0. Hartmann, Ellen; Wang, Catharina E.; Berg, Marit; Sæther, Line. Depression and vulnerability as assessed by the Rorschach method. Journal of Personality Assessment 2003; Volum 3 (81). ISSN 0022-3891.s 242 - 255. Wang, Catharina E.. Depressive lidelser - uttrykksformer og utbredelse. I: Mestring av depresjon. Veileder i forståelse og behandling av stemningslidelser. Tidsskrift for Norsk Psykologforening 2002. ISSN 0332-6470. Wang, Catharina E.; Holte, Arne. Kognitiv bearbeidng av positive og negative budskap blant tidligere deprimerte og ikke tidligere deprimerte personer. Tidsskrift for Norsk Psykologforening 1997 (34). ISSN 0332-6470.s 309 - 319. Landsem, Inger Pauline; Engelsen, Lena Yri; Høifødt, Ragnhild Sørensen; Nordahl, Dag; Wang, Catharina Elisabeth Arfwedson. Vil sikre småbarn bedre søvn. 2019. Wang, Catharina Elisabeth Arfwedson. Ti ekspertråd for påsken: Slik takler du alt fra skismurning til svigermor. 2019. Wang, Catharina Elisabeth Arfwedson. - Ingen kunne se på dette bildet hvor dårlig jeg var. 2019. Wang, Catharina Elisabeth Arfwedson. Slik takler du skismurning og svigermor – 10 ekspertråd for påsken. 2019. Haugsdal, Lene; Wang, Catharina Elisabeth Arfwedson. For Lene ble mammalivet et mareritt. Hva gjør du hvis du får fødselsdepresjon?. 2019. Wang, Catharina Elisabeth Arfwedson; Haugsdal, Lene; Vittersø, Joar. Når den lykkeligste tiden blir et svart helvete. Kan man forklare hvorfor noen blir deprimerte og noen ikke? Og hvorfor er det tilsynelatende flere som sliter nå enn før.. 2019. Wang, Catharina Elisabeth Arfwedson. Må advare mot mobilbruk rundt barn. 2018. Wang, Catharina Elisabeth Arfwedson. Blir du høst- og vinterdeppa?. 2018. Wang, Catharina Elisabeth Arfwedson. Hvordan takle høststormene og lavtrykket som har vært på Søre Sunnmøre?. 2018. Wang, Catharina Elisabeth Arfwedson. "Small is Beautiful" eller "Bigger is Better"?. 2018. Wang, Catharina Elisabeth Arfwedson. "Small is beautiful" eller "Bigger is Better"?. Nordlys 2018. ISSN 0805-5440. Wang, Catharina Elisabeth Arfwedson; Gjengedal, Julie Utler; Simonsen, Britt Margareth. Psykhjelpen - lavterskeltilbud på høyt nivå. 2018. Wang, Catharina Elisabeth Arfwedson. Nyhetsbrev God start for Små i Nord - september 2018. 2018. Skre, Ingunn; Wang, Catharina Elisabeth Arfwedson. Kommunepsykolog - dobbeltkompetansestipend i Nord-Norge. KS Rådmannssamling Troms og Finnmark 2018-09-11 - 2018-09-11 2018. Moldestad, Line; Haugsdal, Lene; Wang, Catharina Elisabeth Arfwedson. Å bygge opp for å rive ned. Nordlys 2018. ISSN 0805-5440. Wang, Catharina Elisabeth Arfwedson; Vambheim, Sara Magelssen; Gjengedal, Julie Utler. Psykhjelpen - et lavterskeltilbud. (data) 2018. Wang, Catharina Elisabeth Arfwedson. Sykdommen vi ikke kan snakke om. 2018. Landsem, Inger Pauline; Handegård, Bjørn Helge; Wang, Catharina Elisabeth Arfwedson; Tunby, Jorunn; Ulvund, Stein Erik. Associations between fathers ratings of preterm children’s behavior problems and own parenting stress across childhood.. World Association of Infant Mental Health 2018-05-26 - 2018-05-30 2018. Høifødt, Ragnhild Sørensen; Landsem, Inger Pauline; Nordahl, Dag; Bohne, Agnes; Myrvang, Maja; Fundingsrud, Siri Høylo; Pfuhl, Gerit; Lorem, Geir F; Thimm, Jens; Wang, Catharina Elisabeth Arfwedson. The Northern Babies Longitudinal Study Predicting Postpartum Depression and Improving Parent-infant Interaction With The Newborn Behavioral Observation (NBO). Celebrating Berry brazerlton and the work he inspires 2018-05-25 - 2018-05-25 2018. Wang, Catharina Elisabeth Arfwedson; Ødegård, Bente; Bugge, Thea; Sandvik, Rikke; Høegh, Eirin; Wara, Sandra Eriksen. Studentpraksis avdekket stort behov for psykologer. 2018. Wang, Catharina Elisabeth Arfwedson. Blues Mothers & Psykhjelpen for de minste. Psykiske reaksjoner i svangerskap og barseltid 2018-05-02 - 2018-05-02 2018. Wang, Catharina Elisabeth Arfwedson. Forskningsformidling: Hvorfor, hva og hvordan?. PhD-kurs i forskningsformidling ved Det helsevitenskapelige fakultet, UiT 2018-05-09 - 2018-05-09 2018. Wang, Catharina Elisabeth Arfwedson. Helsekontrollen. 2018. Wang, Catharina Elisabeth Arfwedson; Simonsen, Britt Margareth. De får ikke nødvendig oppfølging etter fødsel. Økning i forekomsten av fødselsdepresjon. 2018. Engelsen, Lena Yri; Brean, Gro Vatne; Wang, Catharina Elisabeth Arfwedson. Dette er årets paroler i 8. mars toget. 2018. Eberhard-Gran, Malin Marie Cecilia; Wang, Catharina Elisabeth Arfwedson. Psykiske plager etter fødsel nær doblet på 15 år. 2018. Wang, Catharina Elisabeth Arfwedson. Psykhjelpen - Nyhetsbrev januar 2018. 2018. Wang, Catharina Elisabeth Arfwedson; Galaaen, Kari; Simonsen, Britt Margareth. Alle har en psykisk helse - også de minste barna. Nordlys 2018. ISSN 0805-5440. Wang, Catharina Elisabeth Arfwedson; Haugsdal, Lene. De første 1001 dagers betydning for psykisk helse. Januarmøtet - Fylkesmannen og kommunenes møte 9. - 11. januar 2018 i Tromsø 2018-01-11 - 2018-01-11 2018. Wang, Catharina Elisabeth Arfwedson. Studie(u)vaner: Stressmestring, kognitive modeller og metoder.. Folkehelseuke med tema Psykisk helse og stressmestring 2017-02-27 - 2017-02-27 2017. Wang, Catharina Elisabeth Arfwedson. SiN - Nyhetsbrev desember 2017. 2017. Wang, Catharina Elisabeth Arfwedson. Psykhjelpen for de minste - Nyhetsbrev desember 2017. 2017. Wang, Catharina Elisabeth Arfwedson. Psykhjelpen på Tvibit: 14 års samarbeid mellom Tromsø kommune og Institutt for psykologi. Besøk fra helsestasjon for ungdom i Trondheim 2017-12-01 - 2017-12-01 2017. Wang, Catharina Elisabeth Arfwedson. Premierer ikke lokalt samarbeid. 2017. Wang, Catharina Elisabeth Arfwedson. Psykhjelpen, Blues Mothers & God start for små i nord: 14 års samarbeid mellom Institutt for psykologi og Tromsø kommune. Nettverksseminar 2017 2017-11-15 - 2017-11-16 2017. Bohne, Agnes; Galaaen, Kari; Wang, Catharina Elisabeth Arfwedson. Psykhjelpen - et lavterskeltilbud. Tidsskrift for helsesøstre 2017; Volum 03.s 50 - 52. Bohne, Agnes; Lindahl, Åsne; Nordahl, Dag; Ulvenes, Pål; Wang, Catharina Elisabeth Arfwedson; Pfuhl, Gerit. Kognitive forvrengninger i prosessering av spedbarns emosjonsuttrykk hos kvinner med alvorlig depresjon. Nordic Marcé konferens: För bättre perinatal psykisk helse 2017-10-12 - 2017-10-13 2017. Wang, Catharina Elisabeth Arfwedson. Tipsene for å komme seg gjennom mørketiden. 2017. Haugsdal, Lene; Eberhard-Gran, Malin; Wang, Catharina Elisabeth Arfwedson. Lene Haugsdal (39) var verdens lykkeligste under svangerskapet. Da hun ble mamma, ble alt mørkt.. 2017. Haugsdal, Lene; Eberhard-Gran, Malin; Wang, Catharina Elisabeth Arfwedson. Hvert år blir ti - 15 prosent av nybakte mødre rammet: – Vær rask med å søke hjelp.. 2017. Bohne, Agnes; Landsem, Inger Pauline; Pfuhl, Gerit; Wang, Catharina Elisabeth Arfwedson. Hva prøver babyen å fortelle deg?. 2017. Haugsdal, Lene; Wang, Catharina Elisabeth Arfwedson. Brukerperspektivet på depresjon etter fødsel. Regionalt jordmorsymposium i Tromsø 2017-10-17 - 2017-10-17 2017. Moldestad, Line; Wang, Catharina Elisabeth Arfwedson. Nye lavterskeltilbud: Psykhjelpen for de minste og Blues Mothers. Nettverkssamling: Sped- og småbarn. Nordnorsk fagnettverk. 2017-10-10 - 2017-10-10 2017. Wang, Catharina Elisabeth Arfwedson. Ung og utenfor. 2017. Bohne, Agnes; Wang, Catharina Elisabeth Arfwedson. Fra praksis: Psykhjelpen for de minste. Tidsskrift for Norsk Psykologforening 2017; Volum 54 (8). ISSN 0332-6470.s 745 - 752. Bohne, Agnes; Pfuhl, Gerit; Wang, Catharina Elisabeth Arfwedson. Nedlatende av FHI. Dagens medisin 2017; Volum 12. ISSN 1501-4290. Wang, Catharina Elisabeth Arfwedson. God start for Små i Nord (SiN). Styremøte for det Helsevitenskapelige fakultet 2017-06-19 - 2017-06-19 2017. Haugsdal, Lene; Wang, Catharina Elisabeth Arfwedson. Psykhjelpen for de minste: Fagdag - pedagogiske ledere av kommunale barnehager i Tromsø kommune. Fagdag for ledere av kommunale barnehager i Tromsø kommune 2017-06-26 - 2017-06-26 2017. Wang, Catharina Elisabeth Arfwedson. SiN - Nyhetsbrev mai 2017. 2017. Wang, Catharina Elisabeth Arfwedson. SiN - Nyhetsbrev januar 2017. 2017. Wang, Catharina Elisabeth Arfwedson. Psykhjelpen for de minste - Nyhetsbrev mai 2017. 2017. Wang, Catharina Elisabeth Arfwedson. Psykhjelpen for de minste - Nyhetsbrev januar 2017. 2017. Wang, Catharina Elisabeth Arfwedson. Parents mental health, challenges in the perinatal period. Samarbeidsmøte med Arkhangelsk 2017-05-31 - 2017-05-31 2017. Haugsdal, Lene; Wang, Catharina Elisabeth Arfwedson. Psykhjelpen for de minste. Faglig møte ved Kvinneklinikken UNN 2017-06-01 - 2017-06-01 2017. Haugsdal, Lene; Wang, Catharina Elisabeth Arfwedson. Psykhjelpen for de minste. Fagdag - pedagogiske ledere av private barnehager i Tromsø kommune 2017-05-23 - 2017-05-23 2017. Bohne, Agnes; Pfuhl, Gerit; Wang, Catharina Elisabeth Arfwedson. Uansvarlig av FHI. Dagens medisin 2017; Volum 08. ISSN 1501-4290. Haugsdal, Lene; Wang, Catharina Elisabeth Arfwedson. Blues Mothers har lansert nettside. 2017. Moldestad, Line; Haugsdal, Lene; Wang, Catharina Elisabeth Arfwedson. Nytt nettsted på plass for å hjelpe mødre med fødselsdepresjon. 2017. Moldestad, Line; Wang, Catharina Elisabeth Arfwedson. Blues Mothers. For fagfolk som hjelper nedstemte spedbarnsmødre.. 2017. Wang, Catharina Elisabeth Arfwedson. Pårørende: Når man har det tungt kan det være vanskelig å innse at man er syk og trenger hjelp. Det er viktig å stille opp for nære som sliter psykisk.. 2017. Bohne, Agnes; Høifødt, Ragnhild Sørensen; Nordahl, Dag; Wang, Catharina Elisabeth Arfwedson. God start for Små i Nord - og deres foreldre. Dagavisen Nordlys 2017. Wang, Catharina Elisabeth Arfwedson. Angst og depresjon. Kvinner opplever et høyt press med mange uforenlige krav. Ekspertene tror kravene i samfunnet og sosiale medier er blant årsakene som gjør at stadig flere unge kvinner rammes.. 2017. Wang, Catharina Elisabeth Arfwedson. Er du en av dem som utsetter arbeidsoppgavene? Slik setter du en stopper for det.. 2017. Wang, Catharina Elisabeth Arfwedson. Familien må kunne gå på tur uten at det skal være trening eller mentalt styrkende for barna. Ikke gjør hele familielivet til et pedagogisk prosjekt, advarer psykolog.. 2016. Wang, Catharina Elisabeth Arfwedson. SiN - Nyhetsbrev september 2016. 2016. Wang, Catharina Elisabeth Arfwedson. SiN - Nyhetsbrev mai 2016. 2016. Wang, Catharina Elisabeth Arfwedson. SiN - Nyhetsbrev januar 2016. 2016. Wang, Catharina Elisabeth Arfwedson. Psykhjelpen for de minste - Nyhetsbev september 2016. 2016. Wang, Catharina Elisabeth Arfwedson. Psykhjelpen for de minste - Nyhetsbrev mai 2016. 2016. Wang, Catharina Elisabeth Arfwedson. Psykhjelpen for de minste - Nyhetsbrev februar 2016. 2016. Wang, Catharina Elisabeth Arfwedson. Studie(u)vaner: Stressmestring, kognitive modeller og metoder... Internseminar Studentrådgivningen ved UiT Norges arktiske universitet 2016-04-24 - 2016-04-24 2016. Wang, Catharina Elisabeth Arfwedson; Haugsdal, Lene; Rørvik, Aud. Psykhjelpen for de minste. Fagmøte VOP, UNN 2016-09-14 - 2016-09-14 2016. Høifødt, Ragnhild Sørensen; Nordahl, Dag; Wang, Catharina Elisabeth Arfwedson. Slik vil de skape en bedre start for babyer og foreldre. 2016. Wang, Catharina Elisabeth Arfwedson. Fant ikke pappalykken. 2016. Wang, Catharina Elisabeth Arfwedson; Moldestad, Line. Blues Mothers. 2016. Wang, Catharina Elisabeth Arfwedson. Fødselsdepresjon. Når babylykken uteblir.. 2016. Wang, Catharina Elisabeth Arfwedson. Frykter barnedødsfall på grunn av jordmormangelen i Tromsø. 2016. Wang, Catharina Elisabeth Arfwedson. Jordmormangel kan sette babyers helse i fare. 2016. Wang, Catharina Elisabeth Arfwedson. Blir deprimerte av kjærlighetssorg. 2016. Wang, Catharina Elisabeth Arfwedson. Hvilke etiske overtramp forekommer i ditt fagfelt?. 2016. Wang, Catharina Elisabeth Arfwedson. Psykhjelpen for de minste som en tidsriktig og fremtidsrettet praksisarena for studenter.. Felles styreseminar for Universitetet i Nord-Norge og Helsefakultetet, UiT Norges Arktiske Universitet 2016-04-28 - 2016-04-28 2016. Wang, Catharina Elisabeth Arfwedson. Hva virker i psykoterapi?. Tidsskrift for kognitiv terapi 2016. ISSN 1504-3142.s 20 - 25. Wang, Catharina Elisabeth Arfwedson. Kan bli syke av å bli voksne. 2016. Wang, Catharina Elisabeth Arfwedson; Wang-Iversen, Henrik August Stadt. Tre generasjoner psykologer i Nord-Norge. 25-års jubileum profesjonsstudiet i psykologi 2016-04-08 - 2016-04-08 2016. Skre, Ingunn; Bjerkan, Bertil; Wang, Catharina Elisabeth Arfwedson. 25 år med dette studiet har gitt landsdelen 450 nye psykologer. 2016. Wang, Catharina Elisabeth Arfwedson. Intervju i NRK ettermiddagssendingen Troms om TV-serien "Jeg mot meg".. 2016. Wang, Catharina Elisabeth Arfwedson. Tegnene på at du er deprimert. 2016. Wang, Catharina Elisabeth Arfwedson. Når den lykkeligste tiden blir vond og vanskelig.. 2016. Wang, Catharina Elisabeth Arfwedson. Friluftsgeneral: – Ikke stress i påska.. 2016. Wang, Catharina Elisabeth Arfwedson. Symptomer på angst og depresjon er normalt å ha. Professor: - Psykisk sykdom er like vanlig som fysisk sykdom.. 2016. Wang, Catharina Elisabeth Arfwedson. Kritisk for barn av deprimerte mødre: Må få hjelp straks. 2015. Galaaen, Kari; Wang, Catharina Elisabeth Arfwedson. Slik takler du hevnlysten. 2015. Wang, Catharina Elisabeth Arfwedson. Avliver baby-myter. 2015. Wang, Catharina Elisabeth Arfwedson. Manglende støtte kan gi fødselsdepresjon. 2015. Wang, Catharina Elisabeth Arfwedson. Psykhjelpen for de minste. 2015. Wang, Catharina Elisabeth Arfwedson. Slik unngår du høstdepresjonen. 2015. Wang, Catharina Elisabeth Arfwedson. God start for små i nord og Psykhjelpen for de minste. Arbeidsseminar 2015-10-02 - 2015-10-02 2015. Wang, Catharina Elisabeth Arfwedson. Psykisk helse i spedbarnsalderen - et forskningsprosjekt, et samhandlingsprosjekt og en ny fremtidsrettet praksisarena. Internseminar 2015-10-09 - 2015-10-09 2015. Wang, Catharina Elisabeth Arfwedson. Psykhjelpen for de minste og god start for små i nord. Hvis oktober 2015-10-23 - 2015. Wang, Catharina Elisabeth Arfwedson. Psykhjelpen for de minste og god start for små i nord. Hvit oktober 2015-10-14 - 2015-10-14 2015. Wang, Catharina Elisabeth Arfwedson. Babybonding - psykisk helse i forbindelse med svangerskap og fødsel. Fredagsmøte 2015-08-28 - 2015-08-28 2015. Wang, Catharina Elisabeth Arfwedson. Psykhjelpen for de minste og god start for små i nord. Fredagsmøte 2015-08-28 - 2015-08-28 2015. Pfuhl, Gerit; Nordahl, Dag; Bohne, Agnes; Lindahl, Åsne; Wang, Catharina Elisabeth Arfwedson. The Tromsø Infant faces (TIF) database. Snakk med en forsker 2015-09-24 - 2015-09-24 2015. Nordahl, Dag; Høifødt, Ragnhild Sørensen; Thimm, Jens; Ilstad, Linn Kathrin K.; Landsem, Inger Pauline; Pfuhl, Gerit; Wang, Catharina Elisabeth Arfwedson. Små i Nord: En studie av prediktorer for postpartum depresjon og samspillsvansker med barnet. Et samarbeidsprosjekt med Liten i Norge.. Snakk med en forsker 2015-09-24 - 2015-09-24 2015. Nordahl, Dag; Høifødt, Ragnhild Sørensen; Thimm, Jens; Ilstad, Linn Kathrin K.; Landsem, Inger Pauline; Pfuhl, Gerit; Wang, Catharina Elisabeth Arfwedson. Små i Nord: En studie av prediktorer for postpartum depresjon og sampillsvansker med barnet. Et samarbeidsprosjekt med Liten i Norge.. Nordic Marcè Conference: Psykisk helse i perinatalperioden - fokus på mor, far og barn. 2015-09-07 - 2015-09-08 2015. Pfuhl, Gerit; Bohne, Agnes; Nordahl, Dag; Livsdatter, Lina; Lindahl, Åsne; Øvervoll, Morten; Wang, Catharina Elisabeth Arfwedson. The Tromsø infant faces (TIF) database. Neurobiology of Parenting 2015-08-19 - 2015-08-21 2015. Wang, Catharina Elisabeth Arfwedson. Jeg levde det perfekte "Facebooklivet". 2015. Wang, Catharina Elisabeth Arfwedson. Fødselsdepresjon: Stine Marie skjulte for alle hvordan hun egentlig hadde det. 2015. Kvamme, Maria Fredriksen; Risør, Mette Bech; Wang, Catharina Elisabeth Arfwedson; Østbye, Silje Vagli. Vil ha ungdommenes historier. 2015. Wang, Catharina Elisabeth Arfwedson. Behandlingstilnærming ved CFS/ME med vekt på kognitiv terapi. Internundervisning for fysioterapeuter ved UNN 2015-02-10 - 2015. Wang, Catharina Elisabeth Arfwedson. Traumeerfaringer og somatiske og psykiske helseplager. Foredrag om delprosjekt for ansatte i Tromsøundersøkelsen 2015-03-10 - 2015. Wang, Catharina Elisabeth Arfwedson. Babybonding - psykisk helse i forbindelse med svangerskap og fødsel. Lørdagsuniversitetet 2015-03-21 - 2015-03-21 2015. Wang, Catharina Elisabeth Arfwedson; Nordahl, Dag; Landsem, Inger Pauline. Vil hjelpe mødre rammet av fødselsdepresjon. 2015. Wang, Catharina Elisabeth Arfwedson. Tør å ta opp tabuer. 2015. Wang, Catharina Elisabeth Arfwedson. Kommunikasjonsutfordringer i forståelse og behandling av medisinsk uforklarte fysiske symptomer (MUPS): En kvalitativ studie av ungdommers møte med helsevesenet (2014 - 2017). Regional nettverkskonferanse CFS/ME 2014-11-12 - 2014-11-13 2014. Wang, Catharina Elisabeth Arfwedson. Biopsykososialt konsultasjonsteam: Mulige forskningsprosjekter?. Møte i arbeidsgruppe for biopsykososialt konsultasjonsteam 2014-12-18 - 2014-12-18 2014. Wang, Catharina Elisabeth Arfwedson. Psykisk helse i forbindelse med svangerskap og fødsel: Et forskningsprosjekt, et samhandlingsprosjekt og en fremtidsrettet læringsarena. Onsdagsmøte - Universitetssykehuset i Nord-Norge 2014-12-03 - 2014-12-03 2014. Wang, Catharina Elisabeth Arfwedson. Depresjon i forbindelse med svangerskap og fødsel. Hvordan ivareta foreldre og fremme god tilknytning til barnet?. Nasjonalt nettverksseminar for Prosjekt Dobbelkompetanse i psykologi 2014-11-20 - 2014-11-21 2014. Wang, Catharina Elisabeth Arfwedson. Fødselsdepresjoner kan skade babyens utvikling. 2014. Wang, Catharina Elisabeth Arfwedson. Barn spør forskere. 2014. Wang, Catharina Elisabeth Arfwedson. Fødselsdepresjoner kan være uheldig for babyens utvikling. 2014. Wang, Catharina E.. En innføring i kognitiv terapi. 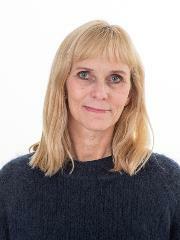 Seminar for ambulant rehabiliteringstjeneste i Nord-Norge 2014-10-03 - 2014-10-03 2014. Wang, Catharina E.. Traumeerfaringer og somatiske og psykiske helseplager. Møte i styringsgruppen for Tromsøundersøkelsen 7 2014-09-30 - 2014-09-30 2014. Wang, Catharina E.. Traumeerfaringer og somatiske og psykiske helseplager. Forskningsdagene - jubileumsforedrag i anledning Tromsøundersøkeslen 40 år 2014-09-26 - 2014-09-26 2014. Wang, Catharina E.. Traumeerfaringer og somatiske og psykiske helseplager. Onsdagsseminar ved Institutt for samfunnsmedisin 2014-09-24 - 2014-09-24 2014. Moldestad, Line; Wallan, Solveig; Wang, Catharina E.. Blues Mothers - En mestringsgruppe for nedstemte mødre. Fokus på psykisk helsehjelp i kommunehelsetjenesten til gravide og barselfamilier. Forskning, erfaringer og gode eksempler. 2014-08-29 - 2014-08-29 2014. Wang, Catharina E.. Det vi kaller normalt, er blitt veldig smalt. 2014. Wang, Catharina E.. Forventninger og krav blir for mye. 2014. Wang, Catharina E.. Fra hestejente til professor i klinisk psykologi. Normood samling 3-4 februar 2014 2014-02-03 - 2014-02-04 2014. Wang, Catharina E.; Hope, Siren; Waage, Trond; Risør, Mette Bech. Filmer seg ut av ungdomsproblemer. 2014. Wang, Catharina E.; Hope, Siren; Waage, Trond; Risør, Mette Bech. Filmer seg ut av ungdomsproblemene. 2014. Wang, Catharina E.. Nybakt mamma og deppa. 2014. Svartdal, Frode; Dahl, Tove Irene; Wang, Catharina E.. Du blir syk av å utsette. (fulltekst) Dagavisen Nordlys 2013. Hope, Siren; Wang, Catharina E.; Wright, Reni Jasinski; Waage, Trond. Meg. Ungdom skaper seg selv ved å filme seg selv for å finne seg selv. I Kamerun, Afghanistan og Norge. 2013. Wang, Catharina E.. Væsjuk. Livet blir ikke bedre av godt vær. VG Helg 2013.s 70 - 71. Svartdal, Frode; Wang, Catharina E.; Dahl, Tove Irene. Derfor blir vi syke når vi utsetter ting. (fulltekst) 2013. Wang, Catharina E.. Én av tre tenåringer er kronisk stressa. 2013. Wang, Catharina E.; Nordahl, Hans Morten. Nye utfordringer for psykologer i arbeid med depresjon?. Tidsskrift for Norsk Psykologforening 2012; Volum 49 (1). ISSN 0332-6470.s 2 - 3. Wang, Catharina E.. CBT: Agenda. Struktur. Kognitive diamant. NAT. Skjemaer/ Leveregler. Internseminar ved Fysikalsk medisinsk avdeling ved Universitetssykehuset i Nord-Norge 2012-11-14 - 2012-11-14 2012. Wang, Catharina E.. CBT: Overordnende prinsipper/ grunnfilosofi. Indikasjon. Egnede diagnosegrupper. Internseminar ved Fysikalsk medisinsk avdeling ved Universitetssykehuset i Nord-Norge 2012-10-10 - 2012-10-10 2012. Wang, Catharina E.. Psykologer må inn i samfunnsdebatten. 2012. Wang, Catharina E.. Har samfunnet skylda?. 2012. Nordahl, Hans Morten; Martinsen, Egil Wilhelm; Wang, Catharina E.. Hva er fakta om psykodynamisk terapi?. Tidsskrift for Norsk Psykologforening 2012; Volum 49 (4). ISSN 0332-6470.s 396 - 398. Wang, Catharina E.. Psykisk helse og depresjon. Internundervisning Barnehabiliteringen, Universitetssykehuset i Nord-Norge 2012-01-20 - 2012-01-20 2012. Wang, Catharina E.. Behandlingstilnærming ved CFS/ME - med vekt på kognitiv terapi. Internundervisning ved Terapeutavdelingen, Universitetssykehuset i Nord-Norge 2011-12-07 - 2011-12-07 2011. Wang, Catharina E.. Nevropsykologisk utredning. Internseminar ved Arbeid- og miljømedisinsk avdeling, Universitetssykehuset i Nord-Norge 2011-05-19 - 2011-05-19 2011. Wang, Catharina E.. Nevropsykologisk utredning. Internundervisning ved Nevrologisk avdeling, Universitetssykehuset i Nord-Norge 2011-05-24 - 2011-05-24 2011. Wang, Catharina E.. Regional konferanse i Nord-Norge om CFS/ME. 2010. Wang, Catharina E.. Avslutningsforedrag. Regional konferanse i Nord-Norge om CFS/ME 2010-10-04 - 2010-10-05 2010. Wang, Catharina E.. ”Mål og prosesser i arbeidet med nasjonale retningslinjer for depresjonsbehandling”. Psykiatri i Nord 2010: ”Nedførr og utaførr” 2010-06-02 - 2010-06-04 2010. Skre, Ingunn; Wang, Catharina E.; Breivik, Camilla; Johnsen, Lars Inge; Arnesen, Yngvild; Lindekleiv, Ragnhild Elise Magnus. “Can mental health literacy in adolescents be improved by a school intervention?”. Helse Nord forskningskonferanse 2009. (sammendrag) 2009-03-25 - 2009-03-26 2009. Skre, Ingunn; Wang, Catharina E.. Sluttrapport til Helse og rehabilitering:”Psykhjelpen”Forebyggingsprosjekt 2004/1/0621. 2009. Berge, Torkil; Berge, Magnhild; Gudim, Hilde Beate; Hortemo, Sigurd; Malt, Ulrik Fredrik; Nordahl, Hans M; Smeby, Nina Aarhus; Stubben, Knut; Wang, Catharina E.; Aarre, Trond F. Nasjonale retningslinjer for diagnostisering og behandling av voksne med depresjon i primær- og spesialisthelsetjenesten. 2009 ISBN 978-82-8081-184-4. Wang, Catharina E.. ”Føringer og utfordringer i arbeidsprosessen med Nasjonale retningslinjer for diagnostisering og behandling av voksne med depresjon i primær- og spesialisthelsetjenesten”. Litteraturmøte for legegruppen ved psykiatrisk avdeling, Åsgård, Universitetssykehuset i Nord-Norge 2009-10-06 - 2009-10-06 2009. Wang, Catharina E.. ”Depresjon og kognitiv sårbarhet: dysfunksjonelle holdninger og tidlige mistilpasningsskjema”. Videreutdanning i Jobbmestrende oppfølging 2009-09-02 - 2009-09-02 2009. Wang, Catharina E.. Depresjonsmålinger. Fagdag ved Klinisk forskningssenter/Forskningsposten 2009-06-05 - 2009-06-05 2009. Skre, Ingunn; Wang, Catharina E.; Breivik, Camilla; Arnesen, Yngvild; Johnsen, Lars Inge; Lindekleiv, Ragnhild Elise Magnus. Prejudice towards mental illness in adolescents. Effect of a school intervention. The 11th European Congress of Psychology, 2009 2009-07-07 - 2009-07-10 2009. Skre, Ingunn; Wang, Catharina E.; Breivik, Camilla; Arnesen, Yngvild; Johnsen, Lars Inge; Lindekleiv, Ragnhild Elise Magnus. MENTAL HEALTH LITERACY IN ADOLESCENTS: EFFECT OF A SCHOOL INTERVENTION. XII International congress of IFPE, 2009 2009-04-16 - 2009-04-19 2009. Lindekleiv, Ragnhild E Magnus; Skre, Ingunn; Wang, Catharina E.. Gender differences in how adolescents benefit from a mental health promotion program. OSSD 2nd annual conference 2008-06-04 - 2008-06-06 2008. Wang, Catharina E.; Skre, Ingunn; Lindekleiv, Ragnhild Elise Magnus. Alle har en psykisk helse: Oppsummering etter en treårig effektevaluering gjennomført av Institutt for psykologi ved Universitet i Tromsø. 2008. Wang, Catharina E.. Samler krefter om ME. 2008. Wang, Catharina E.; Lindekleiv, Ragnhild Elise Magnus; Skre, Ingunn. ”Prosjektarbeid i 8., 9. og 10. klasse. Effektevaluering over tre år”. Intern undervisning 2008-05-05 - 2008-05-05 2008. Hartmann, Ellen; Halvorsen, Marianne; Wang, Catharina E.. Depresjon og sårbarhet: En oppfølging etter 8-9 år. NNPF Jubileumsseminar, Helse Nord 2008-11-05 - 2008. Wang, Catharina E.. ”Hvordan kan negative holdninger, tanker og følelser overføres fra foreldre til barn? Forståelse og behandling av depresjon hos mor”. Erfaringskonferanse i Tromsø med fokus på psykisk helse i svangerskap og fødsel 2008-09-03 - 2008-09-03 2008. Lintvedt, Ove Kåre Kumetz; Waterloo, Knut; Wang, Catharina E.. BlueMood - Forebygging og behandling av depresjon på Internett. Telemedisinsk konferanse for Helse-Sør 2007-02-12 - 2007-02-14 2007. Skre, Ingunn; Wang, Catharina E.. Hjelp der nøden er størst: Nye arenaer for tidlig intervensjon og psykologisk rådgivning. Tidsskrift for Norsk Psykologforening 2007; Volum 44 (3). ISSN 0332-6470.s 234 - 235. Sørensen, Kristian; Østvik, Andreas Raae; Lintvedt, Ove K; Gammon, Deede; Wang, Catharina E.. PS-portalen: Forebygging av psykisk helse blant studenter ved hjelp av et lavterskeltilbud på Internett. (fulltekst) Tidsskrift for Norsk Psykologforening 2007 (44). ISSN 0332-6470.s 265 - 268. Wang, Catharina E.; Holte, Arne. Søvnløshet kan hjelpe deprimerte. 2007. Wang, Catharina E.; Jentoft, Greta; Hveem, Kari. Tvibit tar ungdom på alvor. 2007. Wang, Catharina E.. La lykken gro. 2007. Wang, Catharina E.. Kritiserer seg selv og ødelegger selvbildet. 2007. Wang, Catharina E.. Depression and cognitive vulnerability. Conference on Psychiatric Research in the North 2007-09-05 - 2007-09-07 2007. Skre, Ingunn; Wang, Catharina E.. MENTAL HEALTH CONCERNS EVERYONE": Challenges in prevention of mental health problems in adolescents. Introduction to work shop. ESCAP, "Bridging the gaps". Firenze august 2007 2007-08-25 - 2007-08-29 2007. Wang, Catharina E.. Depresjon og kognitiv sårbarhet. Åsgårdforelesning 2007-05-24 - 2007-05-24 2007. Magnus, Ragnhild Elise; Tobiassen, Anne Grete; Gundersen, Lena; Wang, Catharina E.; Skre, Ingunn. "Mental health concerns everyone", part 2: Self-efficacy in adolescents after a school intervention. ESCAP XIII Internasjonale konferanse 2007-08-25 - 2007-08-29 2007. Johnsen, Lars Inge; Breivik, Camilla; Arnesen, Yngvild; Wang, Catharina E.; Skre, Ingunn. MENTAL HEALTH CONCERNS EVERYONE", PART 1: KNOWLEDGE AND COPING IN ADOLESCENTS AFTER A SCHOOL INTERVENTION. European Society for Child and Adolescent Psychiatry (ESCAP) XIII international conference 2007-08-25 - 2007-08-29 2007. Wang, Catharina E.. Alle har en psykisk helse: Effektevaluering av en tredelt undervisningspakke for ungdomskoletrinnet. Første del. Sosial- og helsedirektoratet, arbeidsgruppe for Psykisk helse i skolen. 2006-01-25 - 2006-01-25 2006. Wang, Catharina E.. Risikabelt å fortrenge depresjon. Psykiskhelse1502-9204 2006 (5).s 5 - 5. Wang, Catharina E.. Evaluering av psykisk helse i skolen. Psykisk - Nyhetsbrev fra Sosial- og helsedirektoratet 2006 (2).s 6 - 6. Wang, Catharina E.. Depression and cognitive vulnerability. 2006. Wang, Catharina E.. Slik smittes du av humøret. Et smil betyr mye mer enn du tror. 2006. Wang, Catharina E.. Pasientens beste venn. Unikt samspill og terapi. 2006. Halvorsen, Marianne; Wang, Catharina E.; Waterloo, Knut. Forsker på tilbakevendende depresjon. 2006. Wang, Catharina E.. Doktoren svarer. 2006. Wang, Catharina E.. Bruk av hest i psykiatrien. 2006. Lintvedt, Ove K; Sørensen, Kristian; Østvik, Andreas; Wang, Catharina E.; Waterloo, Knut. The Norwegian version of MoodGYM - Validating the effect of an Internet based intervention program preventing depression. Tromsø Telemedicine and e-health conference 2006 2006-06-12 - 2006-06-12 2006. Halvorsen, Marianne; Wang, Catharina E.; Sundet, Kjetil S.; Steffensen, Anne Lise; Holte, Arne; Waterloo, Knut. Verbal memory performance of mild to moderate depressed outpatient younger adults. 36th Annual Congress of the European Association for Behavioural and Cognitive Therapies 2006-09-20 - 2006-09-23 2006. Wang, Catharina E.; Brennen, Tim; Holte, Arne. Decreased approach motivation in depression. 36th Annual Congress of the European Association for Behavioural and Cognitive Therapies 2006-09-20 - 2006-09-23 2006. Lintvedt, Ove K; Sørensen, Kristian; Østvik, Andreas; Christensen, Helen; Griffiths, Kathleen; Verplanken, Bas; Waterloo, Knut; Wang, Catharina E.. The Norwegian version of MoodGYM: Assessing need for and validating the effect of an Internet based intervention program preventing depression. 36th Annual Congress of the European Association for Behavioural and Cognitive Therapies 2006-09-20 - 2006-09-23 2006. Wang, Catharina E.; Jentoft, Greta; Breivik, Camilla. Psykhjelpen på Tvibit: Psykologisk rådgivning på helsestasjon for ungdom. Forebyggingskonferanse 2005-01-24 - 2005-01-25 2005. Wang, Catharina E.. Martin Seligman kommer til Oslo. Tidsskrift for Norsk Psykologforening 2005; Volum 42. ISSN 0332-6470.s 646 - 647. Wang, Catharina E.. Puls: Psykhjelpen på Tvibit. 2005. Wang, Catharina E.. Trenger lykkepillen. 2005. Wang, Catharina E.. Sliter med depresjon. 2005. Wang, Catharina E.. Åpner PsykoSosial portal. 2005. Wang, Catharina E.; Lintvedt, Ove K; Sørensen, Kristian; Østvik, Andreas. Luft vettet i eksamensmaset. Gir hjelp på nettet. 2005. Wang, Catharina E.. Ung og psyk. 2005. Arnesen, Yngvild; Breivik, Camilla; Johnsen, Lars Inge; Skre, Ingunn; Wang, Catharina E.. Psykisk suksess. 2005. Lintvedt, Ove K; Sørensen, Kristian; Østvik, Andreas; Waterloo, Knut; Wang, Catharina E.. Lanserer nettportal for psykisk helse. 2005. Wang, Catharina E.. Én av fire skolejenter deprimerte. 2005. Lintvedt, Ove K; Sørensen, Kristian; Østvik, Andreas; Waterloo, Knut; Wang, Catharina E.. Internettbasert Psykologisk Rådgivning for studenter. Studenthelsekonferansen 2005 2005-09-23 - 2005-09-23 2005. Wang, Catharina E.; Jentoft, Greta; Johnsen, Lars Inge. Psykhjelpen på Tvibit. Regionkonferanse RBUP Nord 2005-10-06 - 2005-10-07 2005. Lintvedt, Ove K; Sørensen, Kristian; Østvik, Andreas; Skarsvåg, Hedvig; Wang, Catharina E.; Skre, Ingunn. Students with an unmet need for help. Tromsø Telemedicine and e-health conference 2004 2004-06-21 - 2004-06-21 2004. Wang, Catharina E.. Spiser minst lykkepiller. 2004. Wang, Catharina E.; Skre, Ingunn; Jentoft, Greta; Bruun-Hanssen, Trond; Breivik, Camilla; Arnesen, Yngvild; Johnsen, Lars Inge; Olsen, Randi Elisabeth. Åpen dør til psykologen. Unikt tilbud til ungdom på Tvibit i Tromsø. 2004. Wang, Catharina E.; Larsen, Cecilie; Knut, Schreuder; Anita, Dijkhuizen; Ellen, Sverdrup. Hjerterom i stallen. 2004. Nivison, Mary; Wang, Catharina E.; Skre, Ingunn; Martinussen, Monica. Mer åpenhet om psykiske lidelser. Hjerterom på universitetet. 2004. Wang, Catharina E.. Depresjon - den nye folkesykdommen. 2004. Wang, Catharina E.. Den nye folkesykdommen. 2004. Wang, Catharina E.. Redusert bruk av antidepressiva i Finnmark. 2004. Skarsvåg, Hedvig; Wang, Catharina E.. Mange studenter søker ikke hjelp. 2004. Wang, Catharina E.; Brennen, Tim; Holte, Arne. Positivity bias or avoidant coping strategies in previously depressed individuals?. 18th World Congress of Psychotherapy 2002-08-14 - 2002-08-18 2002. Hartmann, Ellen; Wang, Catharina E.. Cognition, vulnerability and depression as assessed by the Rorschach and Beck Depression Inventory. 18th World Congress of Psychotherapy 2002-08-14 - 2002-08-18 2002.